~ Opening to Our Feminine Power! Led by internationally-known Gaia Priestess, visionary, mystic, healer and author, Mare Cromwell. All women hold a powerful wise-woman center within their wombspaces. But it lies dormant in most of us. Most women have no concept of how powerful this center is. 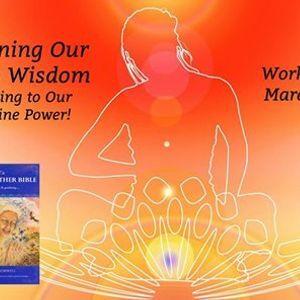 Come join in dance, discussion, art, visualizations, meditation and more to help you awaken your sacred center so you may more fully step into your creative power and true voice. Our wombs are far more than an organ for birthing babies. “An amazing journey inward and beautiful healing experience. Thank you, Mare, and Namaste!” ~ A.R. “What a lovely healing experience! Thank you so much for holding the space with and for us all, Mare. Na-womb-ste!” ~ J.G. "Loved every minute of it! Thank you so much for the offering!" 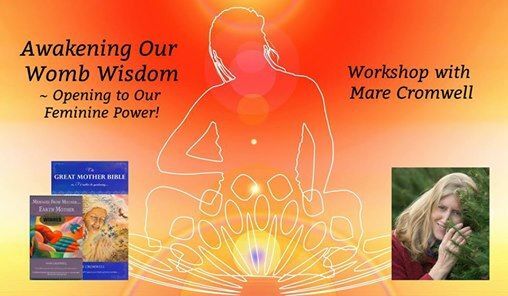 The roots of this workshop come from intensive healing work that Mare has been doing since 2011, along with copious research on the Divine Feminine. She was diagnosed with lymphoma in her abdominal area in the summer of 2011 and has healed it (completely away from the doctors) through profound spiritual work surrendering to Mother Gaia, along with the support of alternative healers, herbs, etc. Her journey has taken her deeper and deeper into releasing the Divine Feminine that was repressed within her. She has also come to discover the tremendous healing powers of Mother Gaia and the universal Divine Feminine (Virgin Mary, Kuan Yin and others). 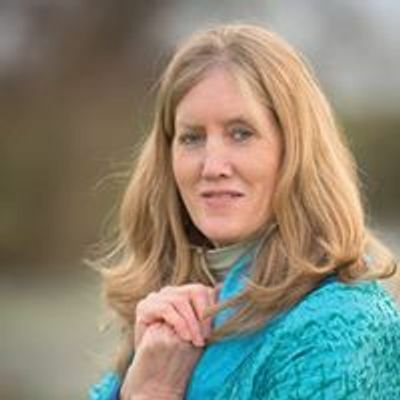 Mare Cromwell is a Gaia Communicator & Priestess, Mystic, and author. Some might call her a Medicine Woman. She has devoted her life to the Great Mother and midwifing the New World coming in now. Her multi-award-winning books include: “The Great Mother Bible”; “Messages from Mother…. Earth Mother”; and, “If I gave you God’s phone number….”. Mare has studied with Native American elders for 23 years along with other gifted spiritual teachers. She sat on the World Council for Wisdom Gatherings for three years and is the visionary behind the 1000 Goddesses Gathering. Mare lives in western Maryland and is a former worm herder. She absolutely loves Sacred Silliness!